You don't like your anger, because it doesn't match up with who you want to be! It's hurting you, and it's hurting other people. It's time to deal with it. I've helped thousands learn to control their anger over the past 35 years. Read on to find out how I can help you. I've watched it happen over and over again. Really good people, just like you, whose anger takes over. Then, when the anger is in charge (not a good thing) it takes on a life of its own. You want to know something a lot of people don't know? Anger is not smart--but you are! And that's why you're here--you are smart enough to know you have a problem, and now you have found the solution. You won't need a sledge hammer to work this out. You've already got the tools you need--your good heart and mind working together will give you the ability to deal with your anger before it deals with you. Over the years, I have discovered what causes anger problems, and what it takes to deal with them. Medicine treats symptoms--and you're going to learn to get to the roots of your anger problem and resolve them once and for all. We're going to start with your heart, because that's the most powerful part of you. If you could have talked yourself out of your anger, you would have already done it by now. The head stuff--using your brilliant mind--comes after the heart. So, what does that mean--start with the heart? It means this: the good person you really are is more about what's in your heart than what's in your head. Your healing will come from your heart, then you will learn how to stay healthy using your head. My name is Dr. William DeFoore, and I've been helping people solve their anger problems for over 35 years. This is a passion of mine, because I see so many suffering so much--and it just doesn't have to be that way.I love seeing people get better, improve their lives, and start creating great, healthy relationships. I have all the degrees (B.A., M.A. and Ph.D.), but that's not where I learned how to help folks with their anger. It came from a lot of reading, trial and error and life experience. I learned by doing--and that's how you're going to learn too. Realizing that you are a good person--and that's why you don't like all of this anger. 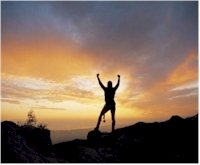 Using the power of your good heart and physical body to get emotional and physical relief. Yep, anger lives in your body. You can't stand what's going on, or you wouldn't be reading this. Things are out of control, and somebody's gonna get hurt--or maybe that's already happened. That's how it is with out of control anger. You don't have to be at war with yourself. I've been counseling with folks for 35 years, and I've discovered something. Want to know what it is? Angry people are good people too. You are here because you're a good person inside, and you don't like things being out of control. You're ready for things to get better! Fighting your anger won't work--or you would have won the battle by now. Maybe you love someone who is angry, and you don't want to lose them--or you are hurting someone you love, and you don't want to drive them away. Either way, I can help you save your good relationships, and figure out when it's time to call it quits. You've already tried to fix this--it's just not working. It's time to get to the heart of the matter, and get yourself healthy once and for all. You're either moving forwards or backwards--there's no standing still in this life. Ready to move forward? Great--let's go! I've found the keys to mastering anger, and it's right here at your fingertips. It's called Anger: Deal With It Before It Deals With You. We know you can't take these anger problems any more--so why wait? You just want the pain to stop, right? With anger problems, you might have headaches, stomach aches, or neck and back pain. Well, good news! 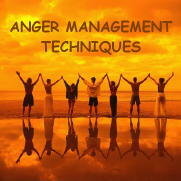 This anger management audio might even give you some relief from physical pain. I'll bet you're also worried about your family--or maybe they're worried about you. Either way, you love them and you don't want to be the cause of their pain and unhappiness. Good news again! Healing your anger will definitely help your family. Sometimes it's helpful to see what you're getting. Okay, here's a list of the actual tracks on this audio program designed to "Stop The Anger Once And FOR ALL." 2. How did you get so angry? 3. What happens if you stuff it? 5. How does anger become addictive? 7. What are your emotional needs? "Few if any provide the kind of value I found in working with Dr. DeFoore. He is truly a master within his profession. Bill is a relationship expert. He is capable of moving mountains with his unique brand of uncommon common sense. "Excellent material and engaging style." "Great! Inspired me to learn more about communicating with others." "Listening to Dr. DeFoore is like summarizing ten years of self-help books in two hours!" "Through Dr. Bill DeFoore’s engaging work with anger and rage, our world is relieved of much of its despair and pain." " I want you to consider something: you have good reason to be angry. How you express it may be unreasonable, but that doesn’t mean you don’t have good reasons for it. And you can learn to manage and express it in healthy ways. " A book to show you how amazing you are! This Ebook entitled, Serai: Bringing The Children Home will guide you on a journey into yourself that you will never forget. True to his belief that each of us is good and gifted beyond what we know, Dr. DeFoore demonstrates through this entertaining and delightful book how to discover and unleash the power and beauty of your very own soul. "From this moment forward, you will steadily realize your beauty and greatness, and you will grow into more humility than you have known or experienced. I am the key that opens the doorway to your divinely inspired purpose in life." When you order your 188 minute audio program entitled, Anger: Deal With It Before It Deals With You, you will receive a "Thank You" email that will include your download information and bonus links. When you download your product, it will be an MP3 audio file that you can listen to immediately and play on your computer or IPOD. You can also download your Ebooks and start reading right away!.You will be listening and reading and getting your benefits within minutes. Just click on the "Order Now" button, and you will be taken to a page where you can complete your purchase. It's as easy as that! It doesn't matter what time of day it is. You will be listening to Dr. DeFoore's helpful, encouraging and uplifting words and guidance in just minutes when you order. Thanks for being here, and for making this effort to create more health and happiness in your life. I believe that when you help yourself and your family, you are helping everyone. So with that in mind, I want to thank you for taking the time to read this page, and making the effort to add to the goodness in the world from your own. P.S. If you haven't realized it yet, this program has everything you need to deal with your anger instead of it dealing with you. And you have nothing to lose and everything to gain by clicking above to order now. P.P.S. I give you my personal and professional assurance that if you use and practice the methods in these programs to Deal With Your Anger Before It Deals With You , you will have the lasting peace and control you've been looking for. Why wait?